The case of a February armed kidnapping of two sailors who were vacationing in Biloxi, Mississippi, ended Monday with each of the Simon City Royals street gang members receiving lengthy prison terms. 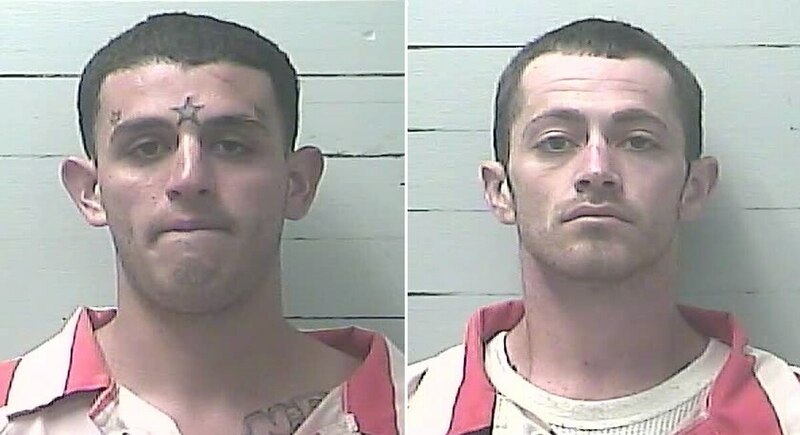 William Stockstill, 24, and Colton Delaughter, 27, kidnapped the two Naval Air Station Pensacola men on Feb. 17 while the sailors were vacationing at the Beau Rivage Resort & Casino, the Sun Herald reported. As the sailors were leaving the casino, they were confronted at gunpoint by Stockstill and Delaughter, who forced them into their rental car, taking their cellphones in the process, the report said. Stockstill and Delaughter then made their victims drive to numerous ATMs to withdraw cash. During one particular stop at a gas station, the kidnappers forced the sailors to purchase snacks and drinks. While at the checkout counter, one of the sailors signed the credit card receipt while discreetly inscribing “help me” and “gun” on the paper, the report said. After another ATM stop, Stockstill and Delaughter left the men on the side of the road near Interstate 10, where the sailors quickly flagged down a good Samaritan and called the police. The sailors’ recollection of their captors’ tattoos and the silent alert in the form of a credit card receipt were instrumental in apprehending the perpetrators, the report said, and the assailants were picked up shortly after. “These convictions are the result of the victims’ ability to maintain their composure in this case, their ability to alert the gas station clerk and the hard work of the case detectives,” said District Attorney Joel Smith, according to the report. Both Stockstill and Delaughter pleaded guilty to charges of kidnapping and armed robbery, and were sentenced to 40 years in prison each, including 25 years without the possibility of an early release.